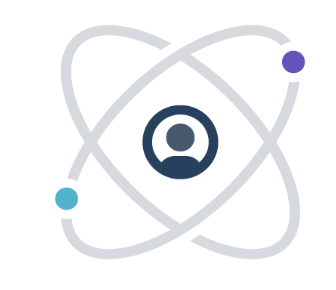 Continuous integration and delivery platform helps software teams rapidly release code with confidence by automating the build, test, and deploy process. Offers a modern software development platform that lets teams ramp. Why do developers choose CircleCI? Why do you like CircleCI? Why do developers choose Codeship? Why do you like Codeship? What are the cons of using CircleCI? What are the cons of using Codeship? 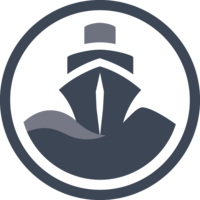 How much does Codeship cost? What tools integrate with CircleCI? What tools integrate with Codeship? What are some alternatives to Travis CI, CircleCI, and Codeship? Codeship and CloudBees Join Forces! Working for a web agency, I have access to many premium services for all parts of the development process which leads to two things when it comes to working on my personal projects at home. 1: I am more fussy about the quality of tools and services that I use than I was before I went from just messing around with programming to having a developer job. 2: I really don't want to pay a single fee or any kind of subscription to services as after using them all day at work I find it hard to justify personally paying a premium to use them for a bit of time at home after work. However with Code ship neither of these things caused any issues as I found it to be very high quality and free. On the subject of it being free, I know there are other CI solutions that are free however if you wish to use it with a private repository then unless you already have private Github repos then the fact that Code Ship integrates with Bitbucket can be extremely convenient as it means you can set up your personal projects with free private repository and a free CI / testing solution for absolutely free. Overall Codeship has really impressed me in every way from its pricing to its clean and simple UI and its ease of use. Setting up continuous integration is complex and time consuming. I've used Codeship for 1 year now and I would never go back to previous systems such as self hosted Jenkins for any kind of web applications. The ability to change developer access on a per repository basis with the click of a button is very helpful and integration with all our services such as Github and Heroku make testing and deployment happen in the background so we can concentrate on our application and not worry about what state the live code is in. We also find the Slack integration (and flowdock before that) to be a great way to share the current code status with the whole team without getting spammed with emails on each commit and build state change while testing prototype branches or working on pull-requests. Like most developers I'd love it if my deployment processes were always the same for every project so I never had to think about deployment. However, that's probably never going to happen unless we stop having clients. Codeship allows me to organize all of my deployments into one place and set them up once so that I don't have to remember the process for every nuance of every client. Whether it's deploying a Drupal or Wordpress site to a private server, a Meteor.js app to Modulus, or just about anything else Codeship gives me the flexibility of writing my own shell scripts for custom jobs (private server) but also one-click solutions for common problems (deployment to Modulus). It's not easy to differentiate a CI/CD service because integrations matter so much more than the service itself. Didn't even need to read any docs, it just works exactly as you expect it to. Pipelines for running tests in parallel (freemium). Easiest setup of any CI service I've tried. Mandatory build status image service. Test runners are alright, but not that powerful. Py.test can run tests in parallel on its own, but enabling that feature doesn't seem to speed up Codeship runs. Doesn't detect tox environments, so you have to specify one environment per pipeline manually. I use CircleCI as part of a cross platform mobile app to build and test the app as well as deploying .apk files to an s3 bucket. Alongside CircleCI this repo also has a TravisCI setup for iOS. The CircleCI build has always been quicker and since moving from CircleCI v1 to CircleCI v2 it blows the TravisCI build out of the water. I'm really impressed with the performance gains from moving to v2. I'm pretty sure I could achieve similar results in Travis as well, but it was really easy to setup the Android CI build in Circle making use of Docker. I am now killin' WP development with my CodeShip + WPEngine setup. This is also making WP development/deployment fun for the first time. CodeShip f*cking rocks. 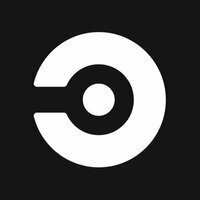 After trying several CI systems, we stuck with CircleCI because of the inference engine in CircleCI 1.0 made setup a breeze. We were up and running quickly. Builds are reliable, nicely integrated into GitHub, and anytime we've had a question, the support team was there to help. The 2.0 system provides Docker support and far more customization and is still fairly easy to set up with helpful documentation. CircleCI has become our CI of choice. The UI is really good and it has all the integrations we need. The 2.0 upgrade was not yet possible for one of our projects due to outdated gems, however, I have been able to get it working for a different one. We use CircleCI to deploy to server. It is much easier than other websites like Travis especially for the free tier. It is especially useful for open source projects that need private access behind the scenes. We originally used CircleCI as our self-contained build system for our internal node modules. It was very easy to set up and configure. Unfortunately we ended up stepping away from it to Jenkins and then CodePipeline due to better integration with our various applications. We prefer CircleCI because we care about testing our apps. We found it is better to invest the time writing rSPEC tests to ensure we don't insert any regression bugs with new branches. It's also nice to have a fully-automated deployment process from GitHub to Heroku. Used for CI/CD for all proofs of concept and personal projects, because of ease of use, GitHub integrations, and free tier. Also used for example repos hosted in GitHub, paired with Dependabot, so that example repo dependencies are kept up to date. We use this as a CI tool when working on our API and related tools. The setup is relatively painless and it hooks directly into our Github repo's to provide reports and feedback. CircleCI is used as continues integration system for shiro and all of its modules. It automatically deploys the latest GitHub commit to https://shiro.host/. Runs a full test suite whenever we push changes to master and if everything is good, automatically deploys our changes to production. CircleCI will be used for deployment and continuous integration using a scripted configuration that deploys to Amazon EC2.